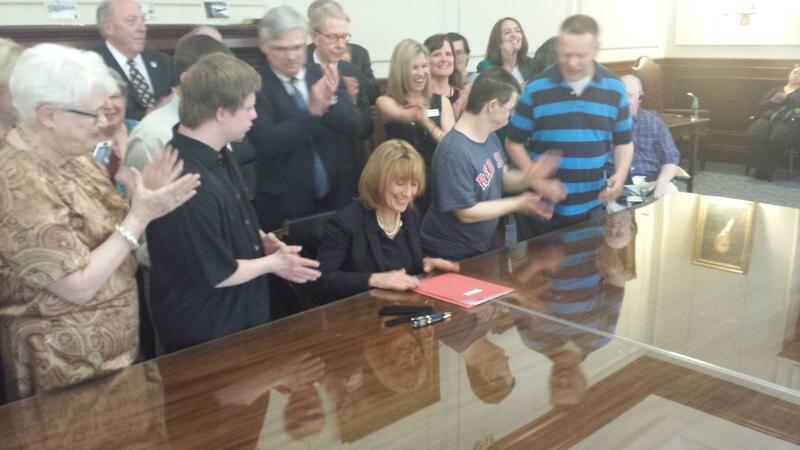 Governor Maggie Hassan, just after signing Senate Bill 47 into law, May 7, 2015.
Credit Brady Carlson / NHPR. New Hampshire will likely become the first state to repeal laws allowing employers to pay workers with disabilities at a rate lower than the minimum wage. 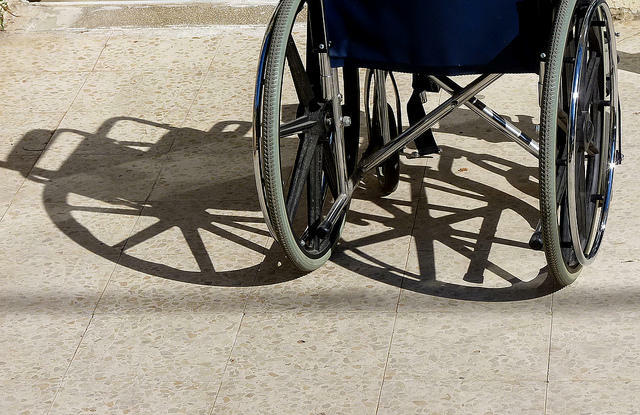 The bill passed this week by the House not only does away with a provision allowing employers to pay people with disabilities below minimum wage in most circumstances, but it also bans so-called sheltered workshops. That’s when an organization sets up a workplace aimed at people with disabilities.